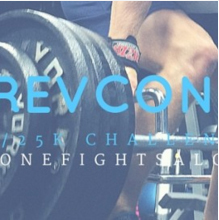 RevCon 10K and 25K Challenge is HERE! Why Not Be The BEST? Can you answer ‘Yes’ to these 3 simple questions? See what Random ramblings are rolling around in the brain of Revolution Conditioning strength coach Maria Mountain - - best new song in months and a great book from a legend.